It’s healthy to move house every 10 years or so and being forced into making decisions on what to keep and what to chuck away. Once the kids have left home, downsizing to a smaller house or flat requires even more discipline on the clearance front. But what happens when a couple have lived in the same house for 67 years? If you read my previous blog you’ll be aware that both my parents passed away in a 10-week period between early April and mid-June this year. Some five years before he died, my father had warned me that I would have to sort out all his paperwork after he had gone. Dad was a squirrel; he never discarded anything written on a piece of paper. While most of the documents were useful, did I really need to keep a 1996 electricity bill or the 1980s service report for a car sold 20 years ago? Even with a third of all items consigned to the shredder I was still left with enough to fill 20 box files. I had to work my way through ten bank and building society accounts, creating the relevant paper trails as I went. In the end, only one of them was still active. I found dozens of old photos including some of dad with his commando comrades-in-arms, postcards from my uncle Eli from when he was prisoner-of-war in a German stalag, and reports of the motorbike accident that shattered my father’s left knee in 1944. 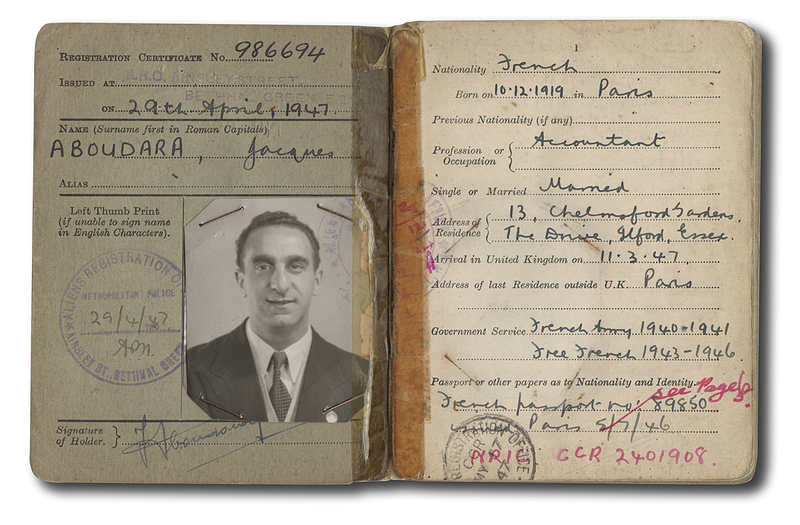 There were old passports, ID cards and expired copies of every document imaginable. Once mum moved to a care home the decision was made to sell the house in order to fund the costs of £50,000 per year. Then, some five-and-a-half weeks later, she died. There seemed little point in leaving the house vacant so an estate agent was instructed and the task of clearing the house began in earnest. Most of their clothes were nearly-new. Life seemed to stand still in 2006 when dad’s botched knee replacement operations curtailed their holidays and his ability to leave the house. We packed them into 15 bags and donated them to a local hospice and the care home mum stayed in. Anyone who has ever had a similar clearance task will have discovered that just because something is old or was expensive in its day doesn’t make it valuable now. For example, dad bought mum a full-length Canadian squirrel fur coat in 1987 for their ruby wedding anniversary. The bill of sale from Philip Bendon Fur Boutique was for £1,100. Current value? Less than £40! Another item for the charity shop. Half a dozen lead crystal decanters, five bone china tea sets, over 60 cut crystal wine glasses, various pieces of 1930s dining room furniture, all virtually valueless. Living in a two-storey house, a stairlift was essential from 2006 onwards. Cost: over £5,500. The company that installed it then wanted a further £425 to remove it. “Aren’t there any re-usable parts?” I asked. Nope. A bit of searching and I found a company that removed it at no cost. Clearly someone could re-use some of the parts. The house was like a museum dedicated to the not-so-finer aspects of the twentieth century. A Belling bed warmer, Philips hood hair dryer and stand, Carmen heated hair rollers, Breville sandwich maker and a Zyliss Autochop, none of which had seen the light of day in decades. I even found the 1940s Underwood Champion manual typewriter I used to mess about with as a kid. So many items really should have been discarded long ago such as the tin containing four Castella cigars. Nobody smoked in the house after my father’s heart attack in 1981; these cigars were so dried out that smoking one would have been like holding your head over a bonfire and taking a deep breath. Mum was also a squirrel but in a different way. Drawers with over 20 pairs of old glasses including those that belonged to my grandparents. 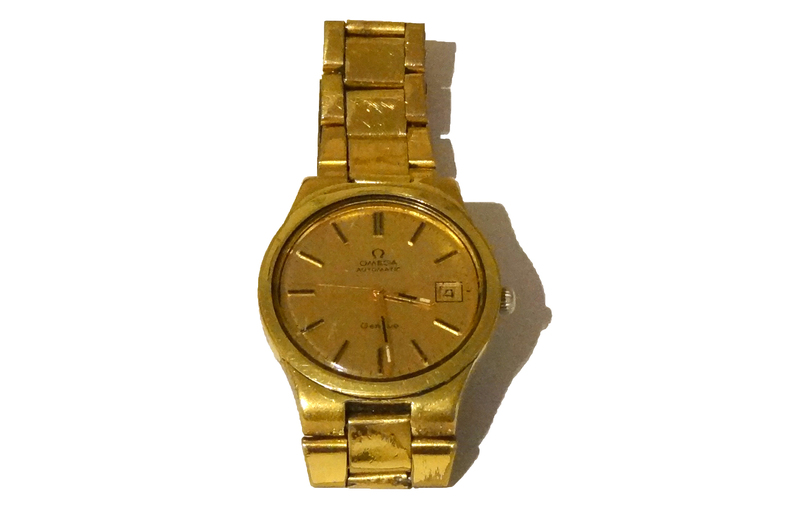 Every watch they had ever owned, including the broken ones, plastic bags full of old buttons, remnant strands of cotton, the sewing needle case I made in primary school: my mum couldn’t bring herself to throw away anything. Mantlepieces and radiator shelves full of tchotchkes, many of which I had bought: a pair of three-legged giraffes, the black cat that appeared in my barmitzvah photos, a number of Wade Whimsies, the fake Capodimonte from Brick Lane and a glass cherry tree were among over 70 such items. I found a battered old 1950s cardboard box full of darning wool and needles. These were donated to Hettie, a fantastic 99-year-old resident at the care home who still knits and darns. 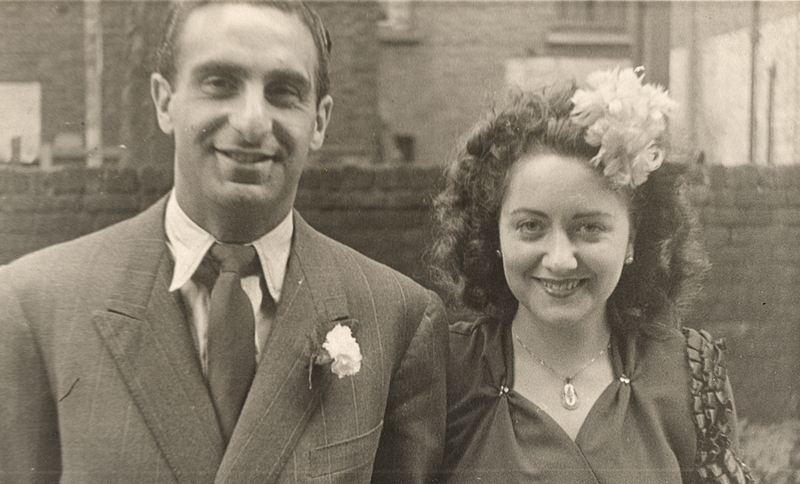 There were moments when I stopped dead in my tracks such as when I removed mum’s wedding photo from its frame and found a label on the back showing she had been entered for the 1947 Daily Mirror Bride of the Year award. And the 1997 letter from Buckingham Palace telling my parents that they had been too late in applying for an invite to the Queen’s golden anniversary garden party. What really reduced me to tears though was opening a suitcase and finding every card they had ever sent to each other or received. Birthdays, anniversaries, mother’s days, father’s days – all the way back to my mum’s 21st birthday card from 1948. 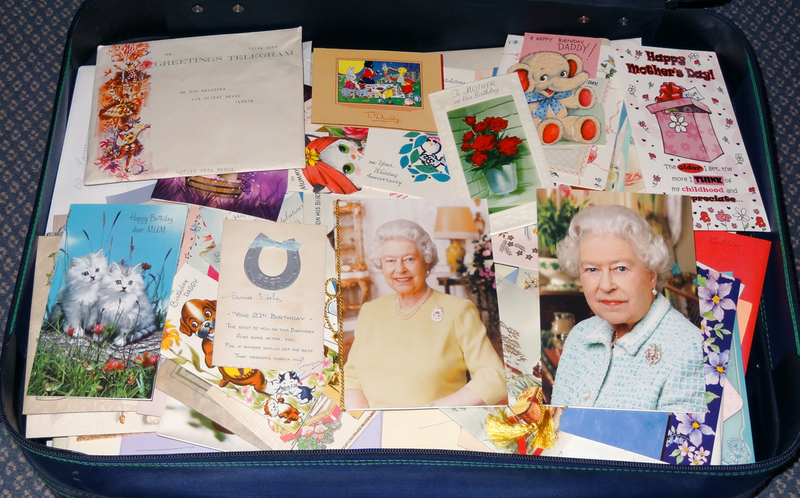 Over 1,000 cards in total including two from The Queen. There were cards sent from my brother and I that he had written because I was too young to be able to, and even cards from my grandparents to them. How can a collection like this ever be thrown away? At the moment it can’t. Perhaps there will come a day when I will be able to. Perhaps not. It’s been an interesting year so far. I achieved one of my lifelong ambitions by entering, and completing, the London Marathon despite some serious knee issues. In doing this, I raised over £1,600 for BackCare charity. I’ve worked with more maths exam students on a one-to-one basis than ever before and played around 20 gigs as a guitarist. I’ve also lost both of my parents in the past 10 weeks. When my 95-year-old father died in hospital in early April, I had no time to mourn or to grieve his passing. My mother had also been admitted to the same ward a few days before and the staff had decided to put them in adjacent beds. A thoughtful idea but one that backfired when my father’s heart arrested late one night. I can only imagine the psychological effect this must have had on her. In the Jewish religion, a body has to be buried as soon as possible after death. My time was taken up with handling the funeral arrangements and trying to work out the logistics of where mum would go after leaving hospital. She had spent the last nine years as my father’s carer, a man she had been with for 72 years. Over the previous few years, my mother’s fiercely protective nature had driven a wedge between us. She always knew what was best for my father. I disagreed on a variety of issues and wanted to improve his life. Despite his dementia, he always sided with his wife. I became distant from them – it was my way of coping with a situation I really couldn’t handle. After dad died, mum remained in hospital for a few weeks. One Monday evening I received a phone call to say she might not last the night. She was still at death’s door next day so I sat with her and, in a quiet voice, I told her that I forgive her for everything that had happened between us, that I’ll be fine and that if she wants to leave that’s ok. At that moment, all my anger subsided. I’m not sure whether my words helped to bring her back from the brink but by the next day she had made an amazing recovery. I promised my father before he died that I would look after mum and was now given an opportunity to be as good as my word. We found a really good care home for her and within 10 days she had moved in. She lived there for five weeks though never really settled. Her room had family photos and some of her favourite knick-knacks but they meant little without her husband. On a number of occasions I sat with her and held her hand, talking about dad. She even facetimed my son in America. But the death of her lifelong partner had removed her reason to live. Towards the end she was almost unrecognisable and started seeing my father in visions. Last Sunday she passed away. Her body was still warm when I kissed her goodbye. The eulogy I read at my father’s funeral was very factual; the one at my mum’s was far more emotive. I struggled to complete it. Yesterday I went to their home, the house I grew up in. I walked through the front door and called out “hi” as I always used to. I sat in the lounge, closed my eyes and could see my dad sitting in his chair. I turned round and saw my mum, and as I looked on I could see them speaking. Mum would frequently check that dad was ok; even though partially deaf, he would always reply. They had nicknames for each other. In my mind’s eye, I could see and hear everything. I have a number of arthritic conditions that cause me daily pain but this dulls into insignificance when compared to the physical pain and mental anguish I am going through now as I mourn both my parents. It is with a very heavy heart that I write this. I know that time will help but at this moment I can’t see that far ahead.